We’re a passionate organisation using a great idea to achieve huge things. We’re always looking collaborate with skilled and enthusiastic people, companies and organisations in the UK and Africa. 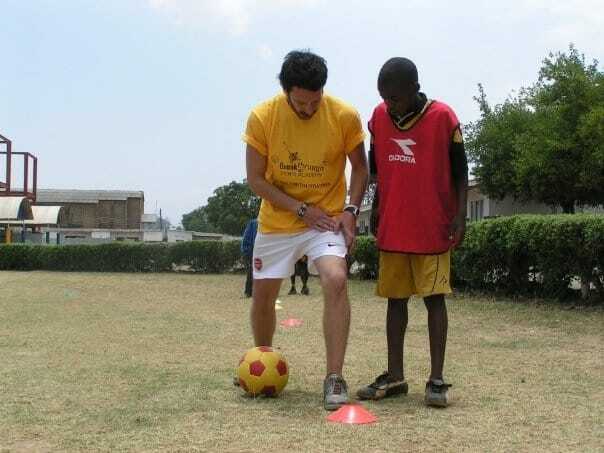 In Africa, you could join our volunteer coaching network and help train African coaches to deliver TackleAfrica sessions to young people in their communities – visit Coach in Africa for more details. The more money we raise, the more young people we can reach. A one-off or regular donation makes a huge difference to our work. Click our donation page here to make an online gift or set up a monthly donation. We also have places in the Virgin British 10k and the Prudential Ride London-Surrey 100.
if you see an opportunity. For news and opportunities, follow us on twitter, like us on facebook and sign up to our quarterly e-newsletter using the form to the above right of this article.
. We’d love to hear from you.